Enjoy a private charter flight to Calgary, the largest city in the province of Alberta and an important trade and financial center in the Canadian economy. 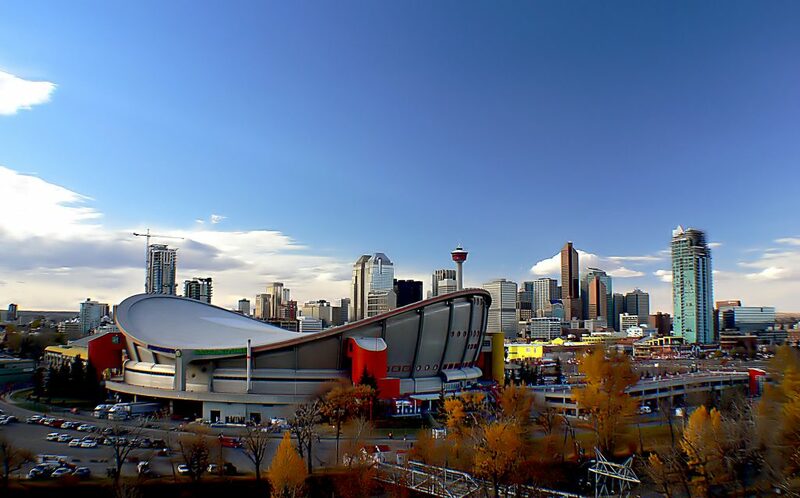 Calgary is the largest metropolis between Toronto and Vancouver and its metropolitan area is home to the second-highest number of corporate headquarters in Canada, making it one of the most active regions for in Canada business jet and charter flights. Air Charter Advisors arranges on-demand Calgary jet charter service to/from anywhere in the world. Gain instant access to thousands of Wyvern/ARGUS private jets, and enjoy competitive rates and no-strings-attached quotes for all your upcoming flights. Hire a private plane with ACA and fly to Calgary, a major oil, gas, and tourism center in Alberta, Canada. We offer access to thousands of planes at a moment’s notice, and our services extend around the world no matter where your business or leisure flight are heading. Private jet charters allow you to fly to/from Calgary on the date & time you choose by utilizing more than 1,000 times the number of airports available with commercial service. There are thousands of companies out there offering jet charter services, but not every company hold the same safety standards. Some companies don’t hold any at all, and sell you strictly on a flight’s price while risking your safety with inexperienced pilots and poorly maintained aircraft. Working with an Air Charter Advisor takes the guesswork out of your private air travel. Safety is our company’s top priority for every flight we arrange, and we utilize Wyvern’s third-party safety & due diligence tools to review aircraft, operator and pilot history before presenting the options to our clients. Our private aviation services include ASAP business jet rentals, medical air transport, executive group charters, VIP/celebrity jet service, supplemental lift, empty leg charter flights, jet card memberships, aircraft sales/acquisitions, and private plane management. We’re available 24 hours a day, and we offer the highest levels of safety and service without compromising safety, comfort, or quality. Call us at 1-888-987-5387 or e-mail us with your trip details and arrange your jet charter flight to Calgary, Canada. Private jets flying to the region often choose the city’s two main hubs: Calgary International (YYC) offers 4 runways and 4 FBO terminals to accommodate charter flights, and Springbank (YBW) is classified as an airport of entry, however, CBSA officers at this airport handle general aviation aircraft only, limited to 15 passengers. Clients can also choose between 5 additional airports located within 20 miles of the city center, although some may be restricted to turboprop/piston only. 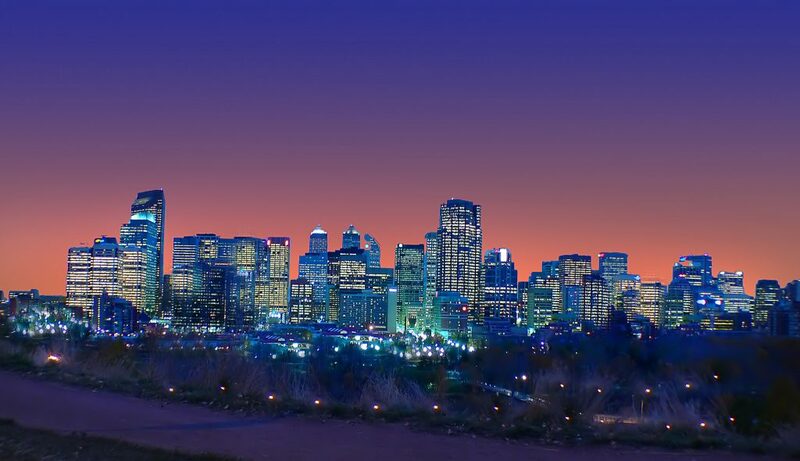 Rent a private jet to Calgary, Alberta’s largest city and the gateway into the Canadian Rocky Mountains. 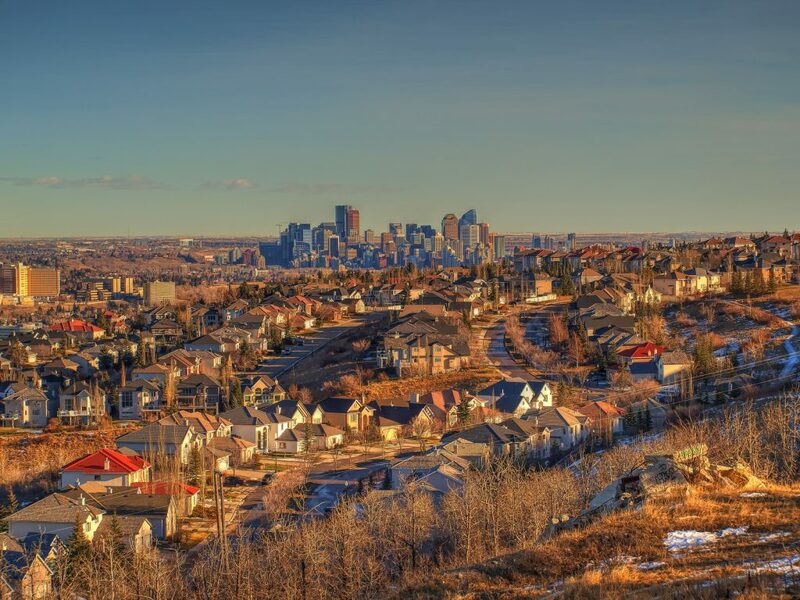 Calgary is situated at the confluence of the Bow and Elbow Rivers, where the prairies end and the foothills begin. Home to nearly 1.4 million residents, it’s the 4th largest metro area in Canada, and it’s nation’s leader in the oil and gas industry. Oil was originally discovered in Alberta in 1902, and the economy in the Edmonton-Calgary Corridor quickly grew around the industry during the 1940’s until peaking the late 20th-century. Today, the economy has diversified with industries including energy, financial services, film and television, transportation and logistics, technology, manufacturing, aerospace, health and wellness, retail, and tourism. In fact, when accounting for the 800 largest companies in Canada, the Calgary Metropolitan Area contains the 2nd most corporate headquarters. Business jets often fly into Calgary International and Springbank, both featuring private terminals for quick, discrete arrivals & departures and upscale travel services for passengers and pilots. The city is also a popular entry point for Banff and Jasper, two tourist towns that make popular seasonal trips, located a couple hours away. If you’d like to visit these scenic areas with an air charter flight, there are airports available in both cities; Banff Airport (YBA) is suitable for turboprop and piston aircraft, while larger turboprops and piston planes can arrive at Jasper Airport (YJA). When arranging your charter flight to Calgary, Alberta, you can select from the following private aircraft, many of which are based at local airports. Many of the planes we arrange are Wyvern Wingman/ARGUS Platinum, and we utilize two veteran pilots with a wealth of experience for every flight. Give your trip details to one of our private jet charter brokers, and they’ll locate the best private planes for your flight. Our rates are some of the most competitive in the industry, and we offer free, no commitment quotes for all of your upcoming private jet flights. Check out the aircraft gallery links, and contact us if you don’t see your preferred airplane below. Clients flying to surrounding areas of Calgary, Alberta can choose from these airports located between 30 and 50 miles from the city center. Like the airports in Jasper and Banff, most will be limited to flights on turboprops and pistons, while select light jets may be able to arrive/depart based on weather conditions, runway length and other factors. Request a Quote or give us a call at 1-888-987-5387 to discuss your charter flight to Calgary with one of our brokers. We can locate the perfect planes for flight with direct access to thousands of private jets, turboprops and airliners in Canada and worldwide, and we have years of experience providing exceptional jet charter service to celebrities, top business executives, elected officials, and leisure travelers.